Globe’s game-changing mobile payment platform in the country, Globe Charge, is providing retailers and merchants more opportunities to realize extra earnings in the form of additional discounts from their transactions. 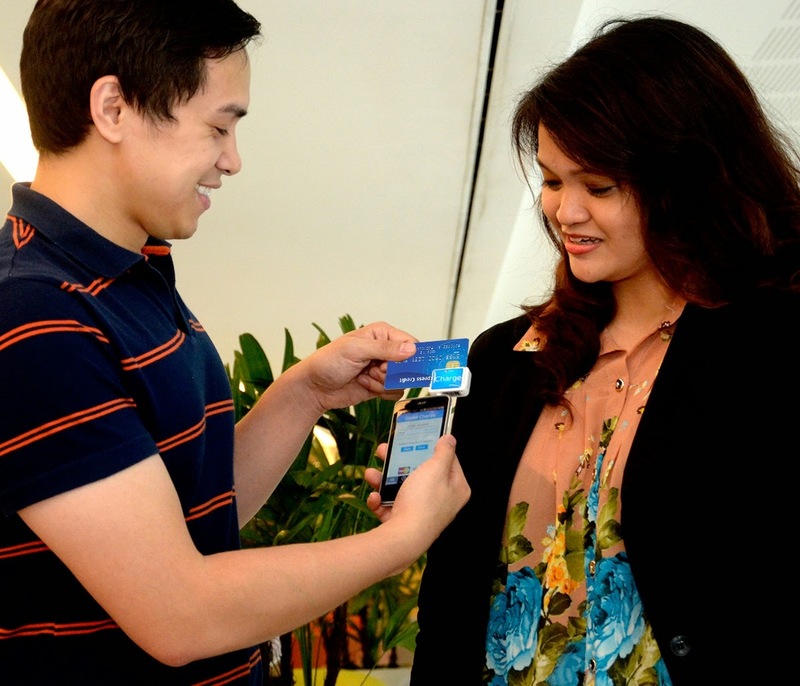 Aside from giving them an alternative means for payment which turns their mobile phones into a point-of-sale payment card terminal, Globe Charge recently announced that it will waive fees for transactions or services—also called the “merchant discount rate (MDR)”—charged by the credit card company to merchants, for the first six months of the service for those applying for the service on or before December 15, 2014. This means business owners can enjoy the benefit of accepting credit card payments with reduced deductions on their settlement fees from credit card companies. As an illustration, a retailer’s P300.00 transaction from a regular Globe Charge Visa or MasterCard credit card payment will usually incur an P8.70 or 2.90% MDR charge, plus the withholding tax of P1.50 or 0.50%. For half a year from the date of their application, Globe Charge will impose no MDR deductions. Instead of earning just P289.80, the retailer will receive a higher settlement of P298.50, effectively increasing the business’ earnings by almost 3%. “As retailers, merchants and SMB owners embrace the ease and convenience brought about by Globe Charge, we now provide them a means to earn a little more come the holiday season and toward the New Year by canceling the merchant discount rate for six months. We foresee this benefiting small and mid-size enterprises (SMEs) such as stores, off-site branches, as well as other similar businesses across the country - especially those who will be putting up Yuletide bazaars, tiangges and expos as the holidays draw near,” Senior Vice President for Globe myBusiness Martha Sazon pointed out. She added that, as the trusted business advisor of local SMBs, Globe myBusiness is empowering them with an added payment option through Globe Charge, translating potential customers into more paying patrons, leading to increased sales and overall business growth. Businesses big or small can start accepting credit card payments anytime and anywhere in the coming months by subscribing to a Globe myBusiness Globe Charge postpaid bundle for as low as P299 a month with a 24-month lock-up period. It comes with a free Acer Liquid Z4 smartphone and free card reader, plus surfing-texting-calling combos and consumables. To start using Globe Charge, they need to download the Globe Charge app from Google Play or Apple Store. After installing, they need to run the app online - the data connection of which is absolutely free of charge for Globe customers - and register their user account and GCash wallet. Since its launch early this year, Globe Charge has been helping grow the businesses of about a thousand local merchants. It will make payment options and shopping experience more convenient for customers this Christmas by accepting Visa, MasterCard debit and credit cards. Globe Charge also continues to break new grounds by enabling card acceptance by processing GCash Card payments like PowerPay+ cards. Globe Charge is available through Globe myBusiness sales representatives and in Globe Stores.